The view of the Vltava river to Petrin hill to Prague Castle over Lesser Quarter area. 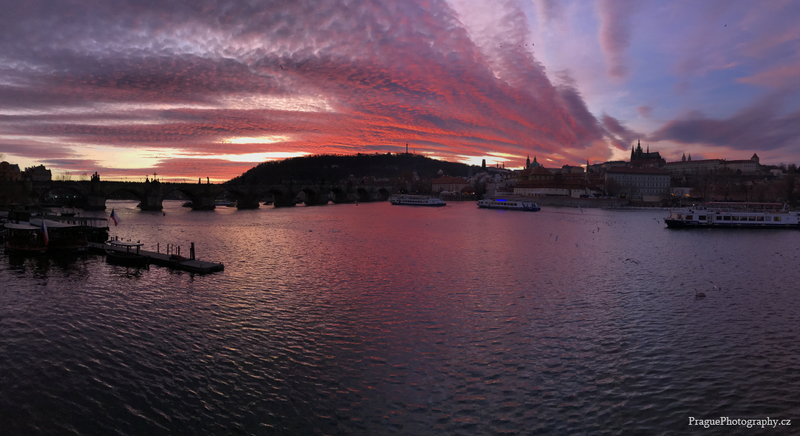 The nice warm Fall day gave us all a majestic sunset display over majestic Praha! I used my hand to do this and realize the movement, offset near the middle. sorry about that but colors too stunning not to share.